Are you interested in learning more about pressure canning? This quick start guide walks you through the entire process, step by step, and in great detail. It also includes a checklist so you never miss a step! A must have set for any one who wants to learn how to pressure can! 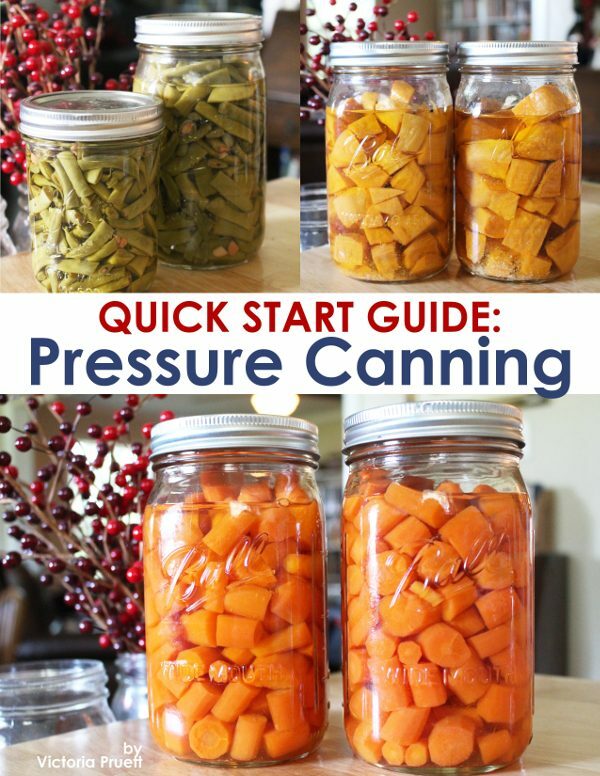 Quick Start Guide to Pressure Canning is an amazing resource for inexperienced canners like myself. I’ve never pressure canned and have honestly been afraid of it. This guide is so detailed and “takes me by the hand” to relieve all fear and give me the confidence I need to give it a try for myself. I will be able to preserve so much more quality food from my garden with this guide. It’s a wonderful resource. It has detailed instructions, examples for every situation, and a handy cheat sheet to refer back to. Great resource for any canner. Learn more about exactly how to pressure can vegetables, meats, and soup with this quick start guide. Short and to the point, this resource gives you all the information you need to add this classic homesteading skill to your abilities list.Whether you already know how to water bath can, or you’ve never canned anything at all, this guide breaks down every step for you in an easy to understand way! Worried about whether you will be able to can on your stove-top? The guide walks you through the process of determining if it is safe to can on your stove “as-is” or if you’ll need additional resources. It’s also a skill you can learn no matter where you live, and you don’t need a garden to be able to enjoy the benefits of pressure canning! Note: This is a quick start guide and does not include a full listing of recipes. Rather, it is an detailed look at the process of pressure canning to allow new canners to become comfortable with the act of pressure canning. This is the BEST and most concise, yet perfectly detailed, guide to pressure canning. I have never pressure canned because I’m afraid, I’ll be honest. But Victoria’s quick start guide gives an excellent over view, a great checklist, and I absolutely appreciate the numbered and more detailed directions too. 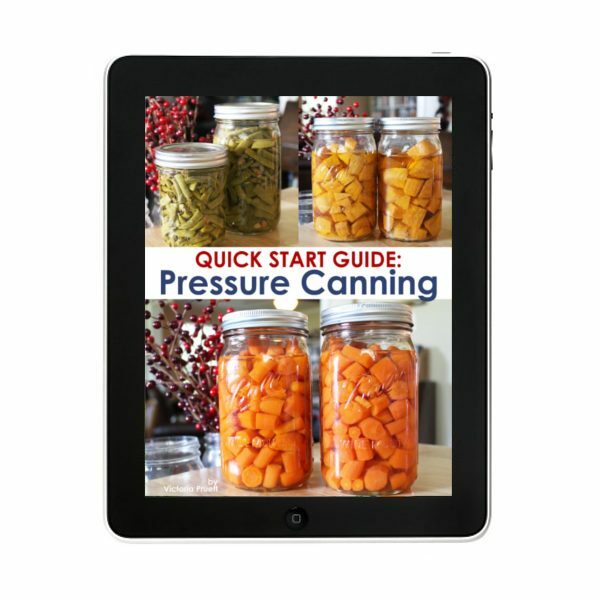 Download “Quick Start Guide to Pressure Canning” Now!